cdcindonesia.com - Indonesian morning enthusiasm, the following job information comes from one of the companies engaged in the railway system in Indonesia, namely:PT Len Railway Systems - LRS is a rapid growing Engineering, Procurement, Construction (EPC) services company in Indonesia with core business competencies on railways signal. 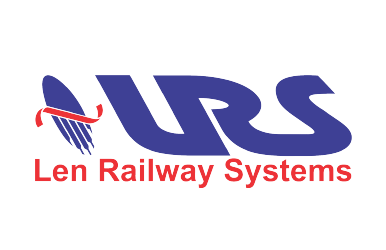 LRS running business in providing services in railway signalling systems, traction system, power and substation systems, telecommunication systems, railway SCADA system and electrical propulsion system.The name of PT Len Railway Systems officially established in 2011. LRS is based in Bandung West Java and its head office is registered at Grha Giri Suseno (T Building) - Len Business Park, Jl Soekarno Hatta No 442, Bandung 40254. Minimum S1 Electrical Engineering / Management of Industrial Engineering / Industrial Engineering. Minimum GPA of 3.00, with a minimum accreditation of A. Maximum age of 29 years old. Preferably have minimum 2 years of experience in making a feasibility study. Able to communicate in active English, both oral and written. Skilled to use Microsoft Office applications. Preferably have minimum 2 years of experience in the same field. Preferably have minimum 2 years of experience in the same field (sales). Minimum D3 Electrical Engineering / Mechanical Engineering. Minimum S1 Electrical Engineering / Physics Engineering. Minimum S1 Telecommunications / Electrical Engineering. Minimum S1 Electrical Engineering / Mechanical Engineering / Physics Engineering. Preferably have a minimum of 2 years experience as Chief Engineer. Have good leadership and project management skills. Minimum S1 Electrical Engineering / Mechanical Engineering / Physics Engineering / Industrial Engineering. Preferably have a minimum of 2 years experience as a Site Manager on a construction project. Minimum S1 Electrical Engineering / Mechanical Engineering / Telecommunications Engineering. Minimum S1 Industrial Engineering / Industrial Engineering Management. Preferably have minimum 2 years of experience in the same field, especially scheduling. Minimum S1 Industrial / Management Engineering. Skilled in using Microsoft Office applications. Latets date 25 April 2019.All application will kept strictly confidential and only short-listed candidates will be contacted.